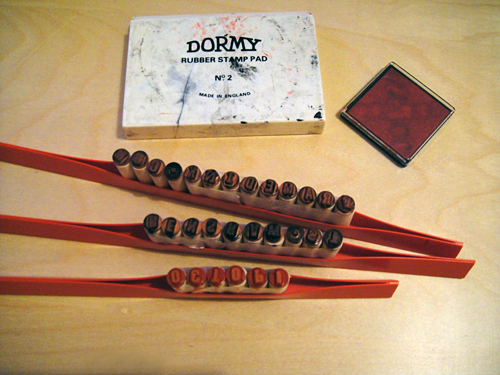 I found these recession busting rubber letter stamps for £0.99p, bargain, lets get dirty! 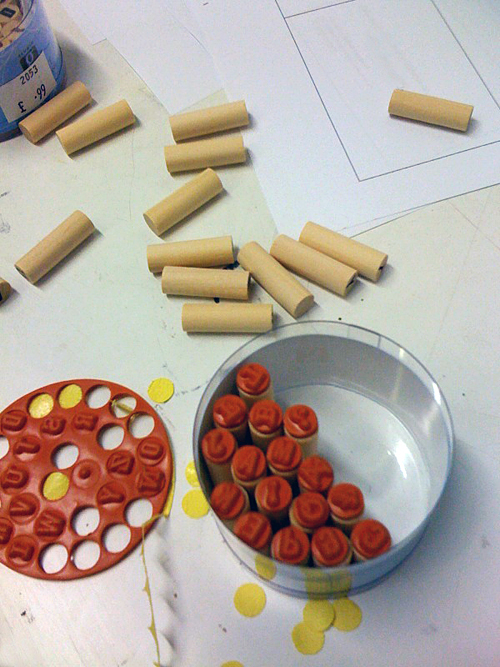 Using File binders to hold the wooden blocks that the rubber letters sit on in place they made quite nice stamps. 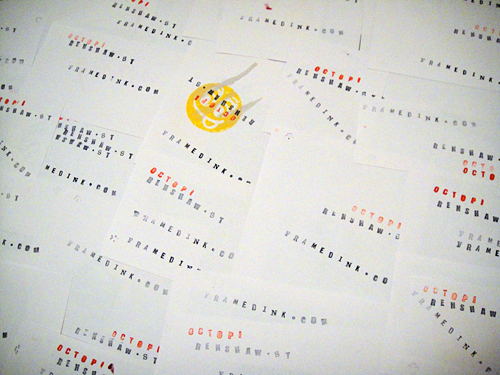 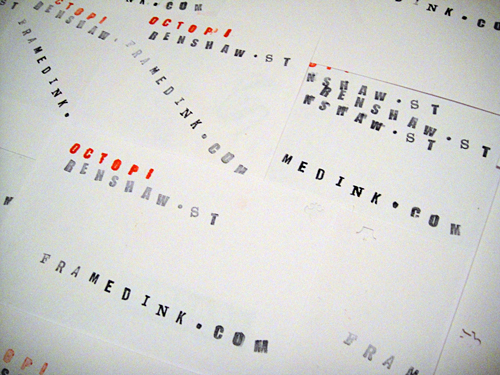 The results are Ye Olde Drunken Letterpress Typesetting…who needs Apple Macs?